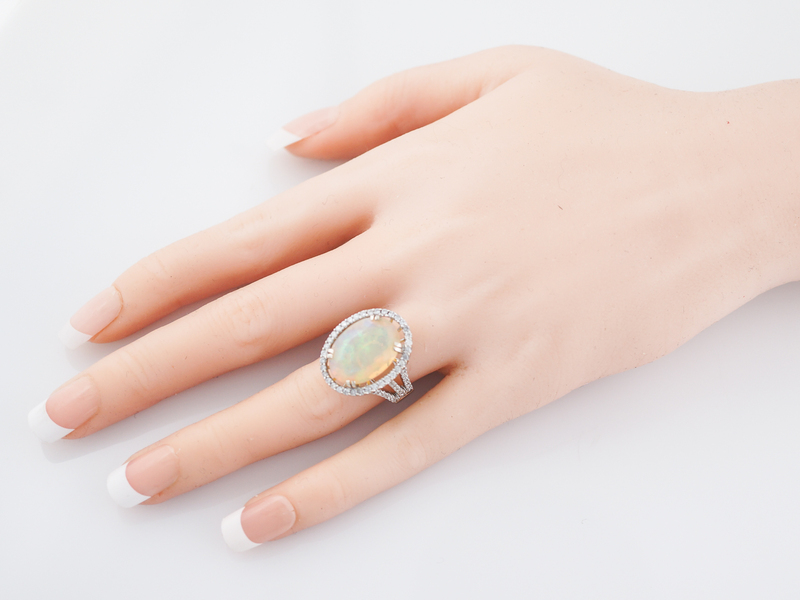 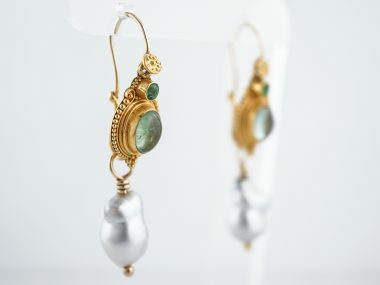 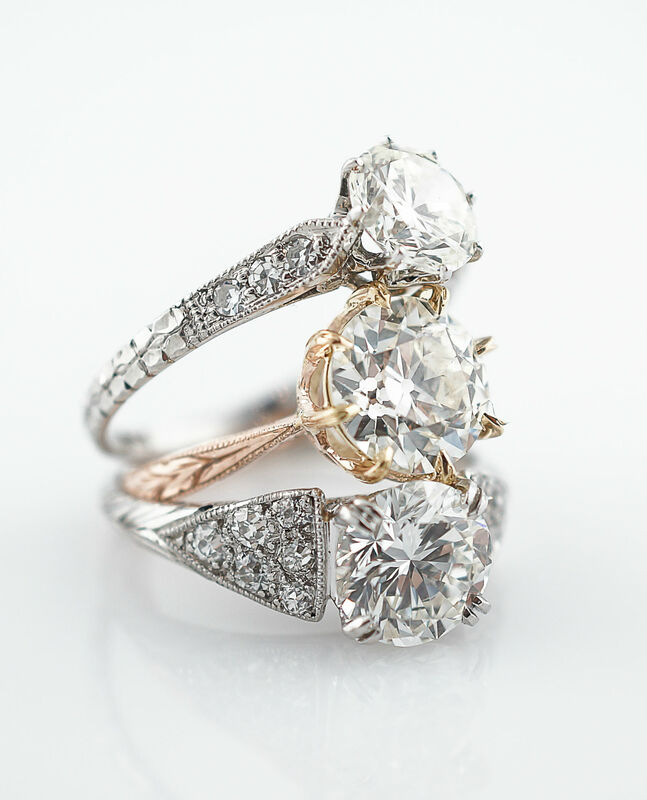 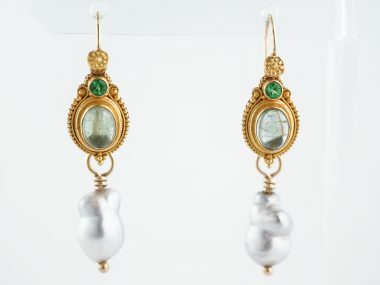 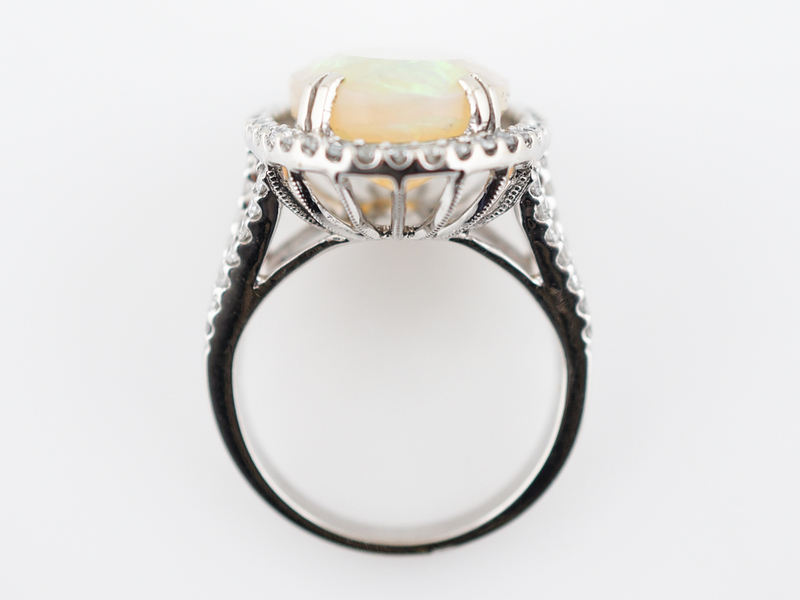 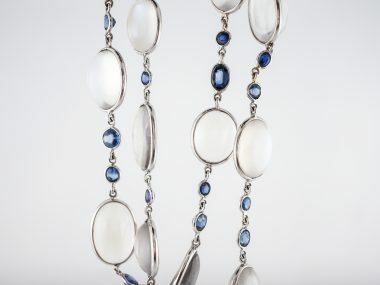 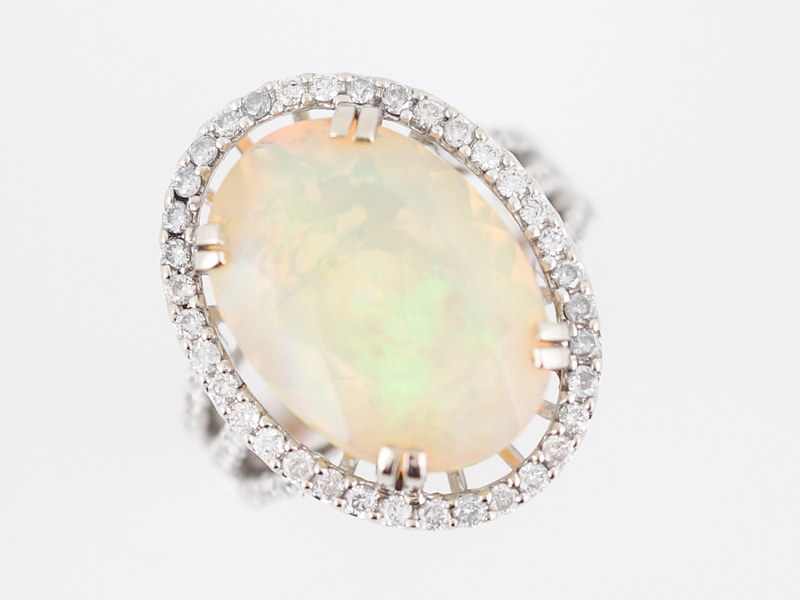 This Modern Era, right hand ring is not your grandmother’s opal. 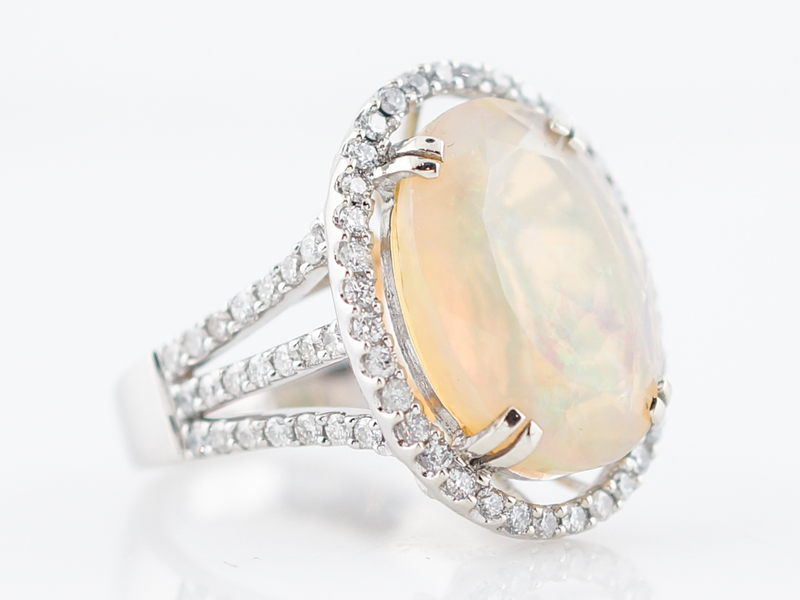 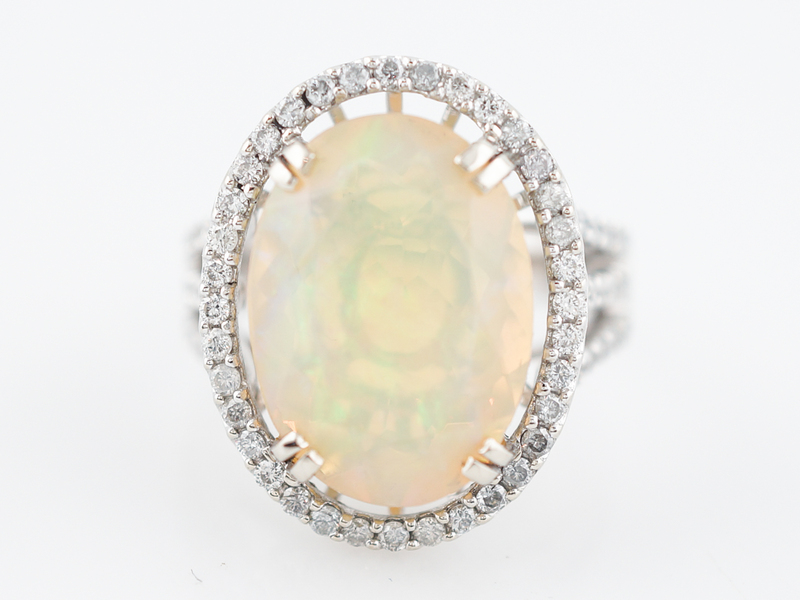 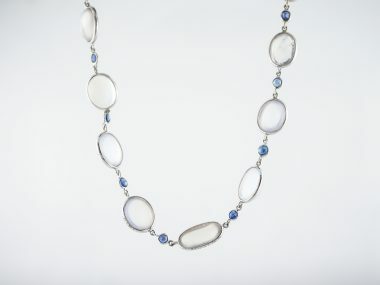 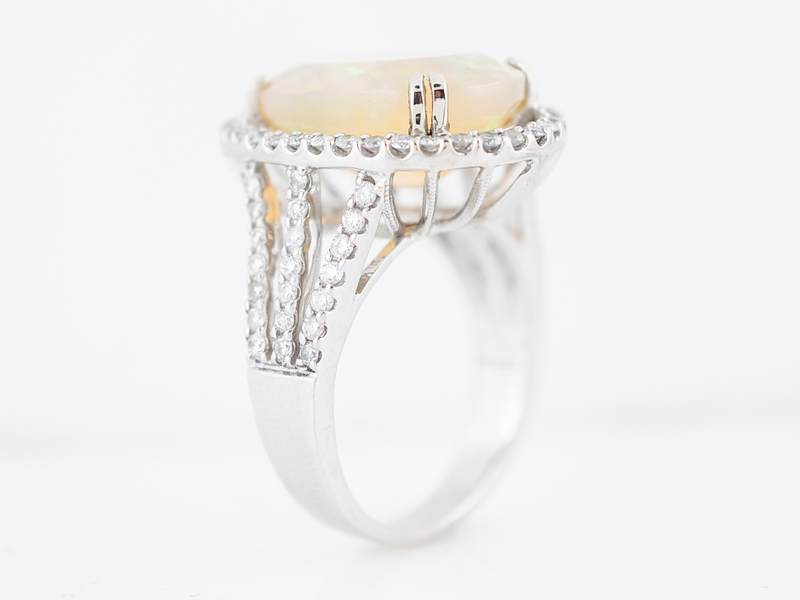 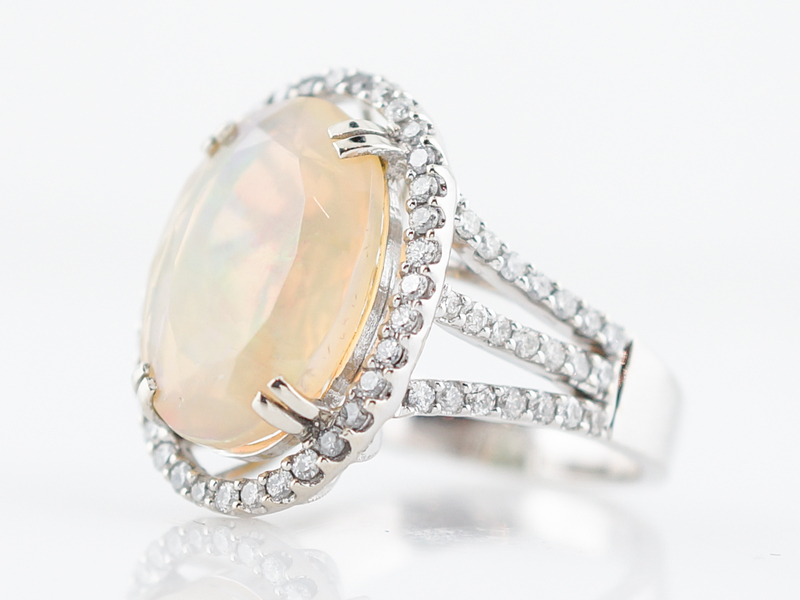 A 5.57 carat, oval cut opal is set in 14 karat white gold and surrounded by a dazzling halo of diamonds. 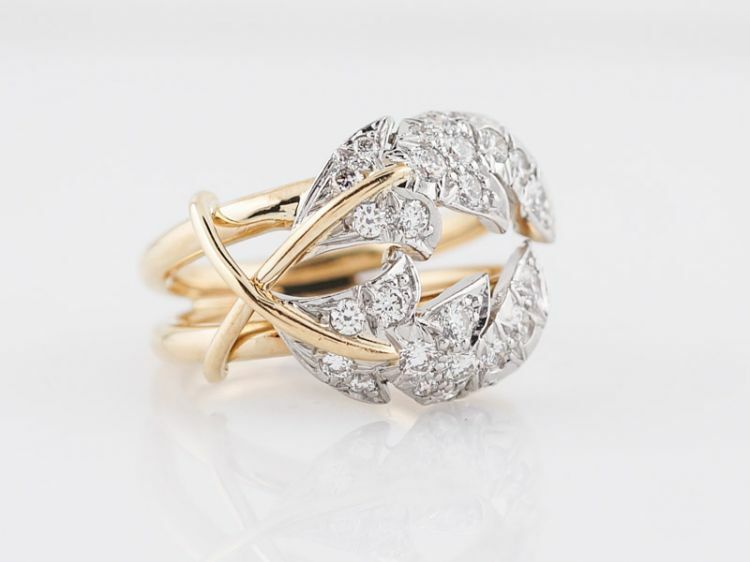 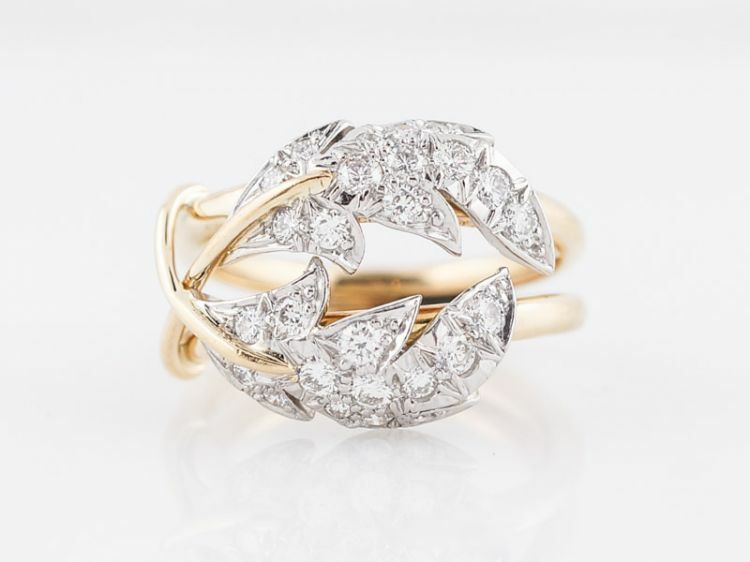 The setting has three (3) rows on each side of diamonds which split and leave negative space which makes this ring even more interesting. 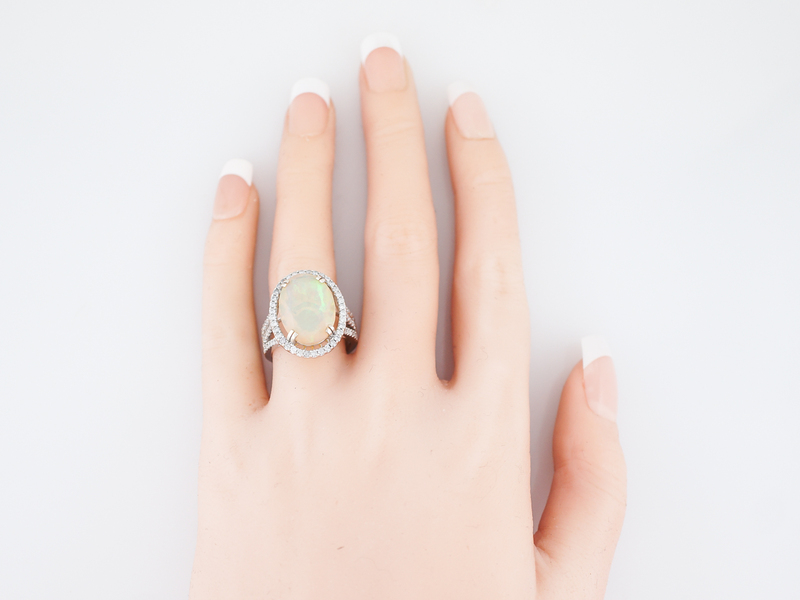 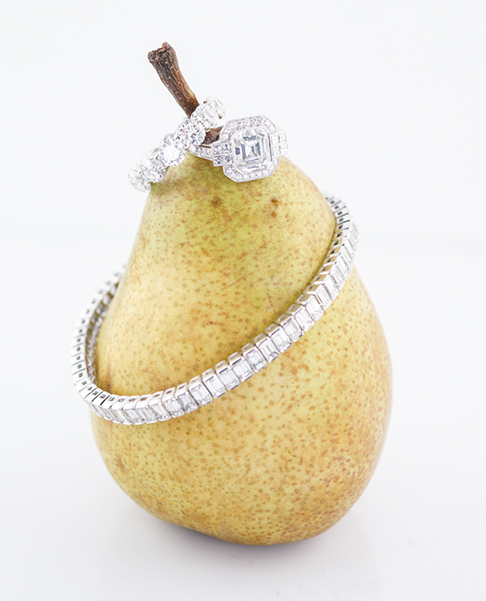 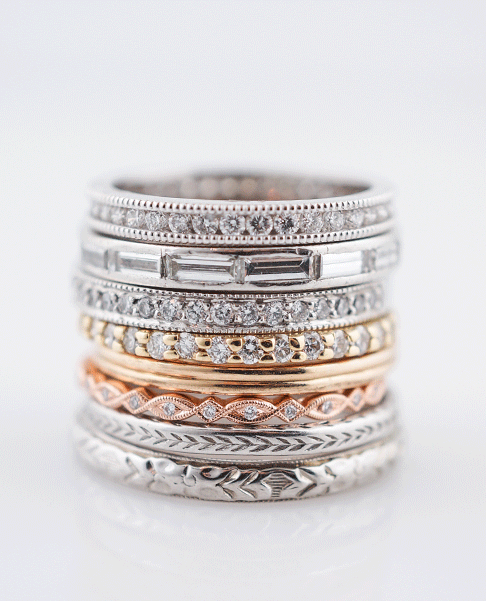 This is one cocktail ring that you won’t just want to wear to cocktails.